Patra's Other Place: Spring in our back yard. 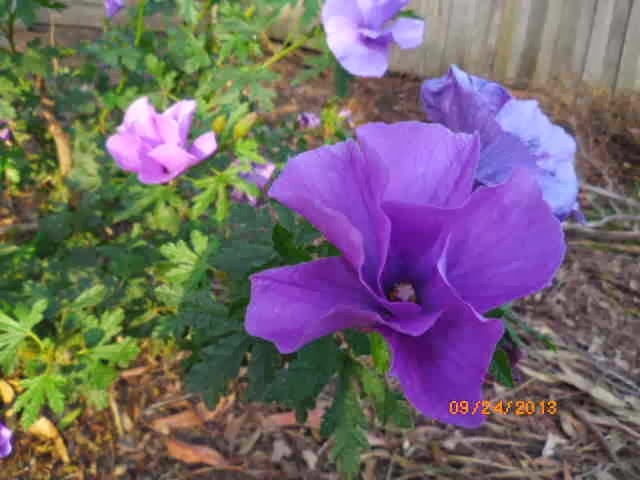 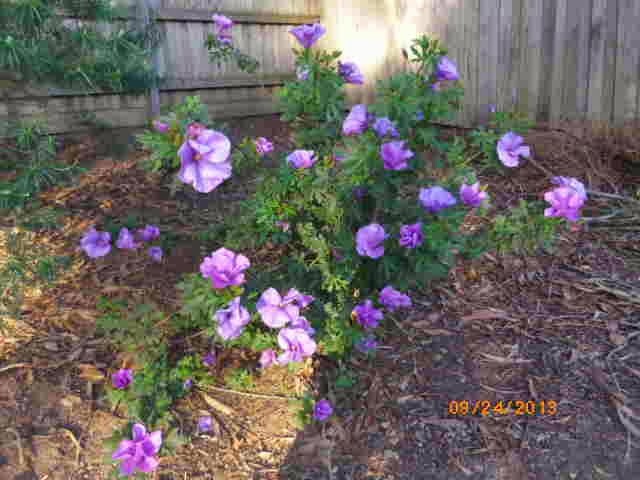 When Ken first took the bandage off his eye after the cataract surgery, one of the first things he saw was a purple flower in the front garden, and he remarked on the clarity and brightness of the colour. 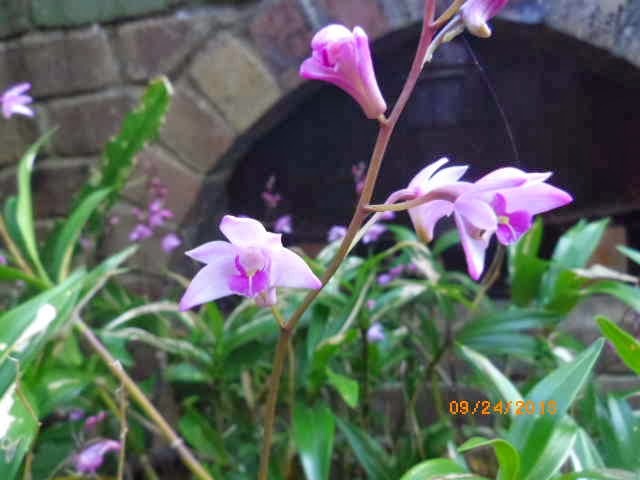 It struck me at that time what a coincidence it was that so many of the spring flowering plants in our yard are purple, mauve and pink shades. Ken was looking at a Cineraria when he made that comment, but I haven't included a photo of that. 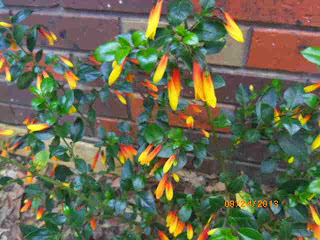 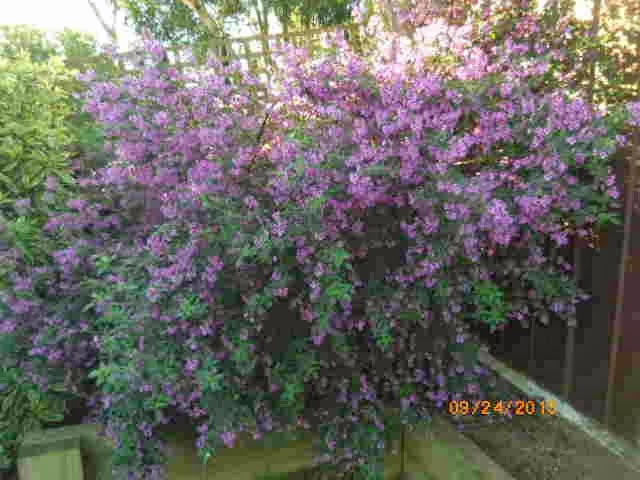 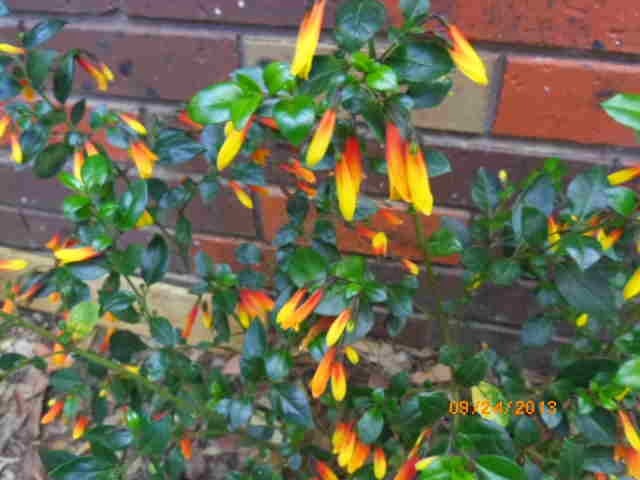 Not purple, but a gorgeous little shrub that I planted last year and this the first time it has flowered - it is called Jacobinia Firefly. And this as you will all know is a Cymbidium orchid. 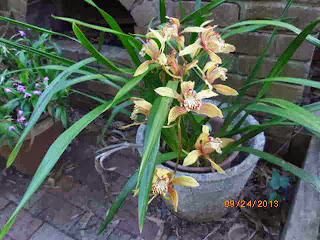 We've had these in three pots for many years and they rarely flower, but this year they all sprouted a stunning display.